On the verge of a breakout, 29-year-old right fielder Ryan Church suddenly found his career crash to an abrupt halt after suffering a severe concussion on the basepaths. Less than two years later, he quietly retired from Major League Baseball. Church recently spoke with BP Mets about the aftereffects of his concussion, Shea Stadium’s final game, and life after baseball. Growing up in Santa Barbara, California, Ryan Church was introduced to the game of baseball at a very early age. As he found himself watching a game between the Los Angeles Dodgers and San Francisco Giants on television as a four-year-old, the game immediately called to him. Fast forward 14 years and Church found himself as a starting pitcher for the University of Nevada as an 18-year-old freshman. In his first season as a starter for the Wolf Pack, Church went 6-5 with a 4.74 ERA and 48 strikeouts in 79.2 innings pitched in 17 appearances (14 starts). It was later that season, however, that changed the course of Church’s baseball life. Church persevered, however, and rather than accepting defeat the then-college sophomore began his transition to becoming a position player. “I decided to start hitting on my own whenever I had downtime from rehabbing or after practice. The rest is history.” As both a pitcher and an outfielder, Church hit .361/.434/.566 with 16 home runs, 24 doubles, 88 RBI and a 1.000 OPS in 102 games over his final three college seasons. By age 21, Church was selected in the 14th round of the 2000 Major League Baseball Amateur Draft by the Cleveland Indians as an outfielder. Before he ever made his major league debut, though, Church was included in a trade by the Indians to the Montreal Expos for left-handed pitcher Scott Stewart. Church hit a bump in the road, however, when he crashed into the outfield wall at PNC Park in late June, leading to two trips to the disabled list. Over his final 45 games with the Nationals that season, Church was unable to replicate his early success as he batted .231/.315/.352 with two home runs, five doubles, 14 RBI and a .666 OPS in 124 plate appearances. Over the next two seasons in D.C., Church turned himself into an intriguing player. From 2006-2007, the left-hander hit .273/.354/.482 with 25 home runs, 60 doubles, 105 RBI and an .836 OPS. While the power had yet to come, Church appeared as if he were a player on the rise. It was in the offseason prior to the 2008 season where Church found himself involved in a trade for the second time, as the Washington Nationals dealt the 29-year-old right fielder–as well as catcher Brian Schneider–to the New York Mets for the highly-touted outfield prospect Lastings Milledge. Prior to even making his Mets debut, Church found himself injured again as he collided with Marlon Anderson on a play in Spring Training, leading to a fairly severe concussion. Looking back on the incident, Church admits that he has no memory of the collision itself, but continues to praise the way the team’s medical staff handled the situation. Once the season began, Church appeared to suffer from no ill-effects from the concussion whatsoever. The Mets new right fielder quickly became one of the team’s most important players as Church batted .311/.379/.534 with nine home runs, seven doubles, 32 RBI and a .913 OPS in his first 42 games of the 2008 campaign. Then came May 20, 2008. 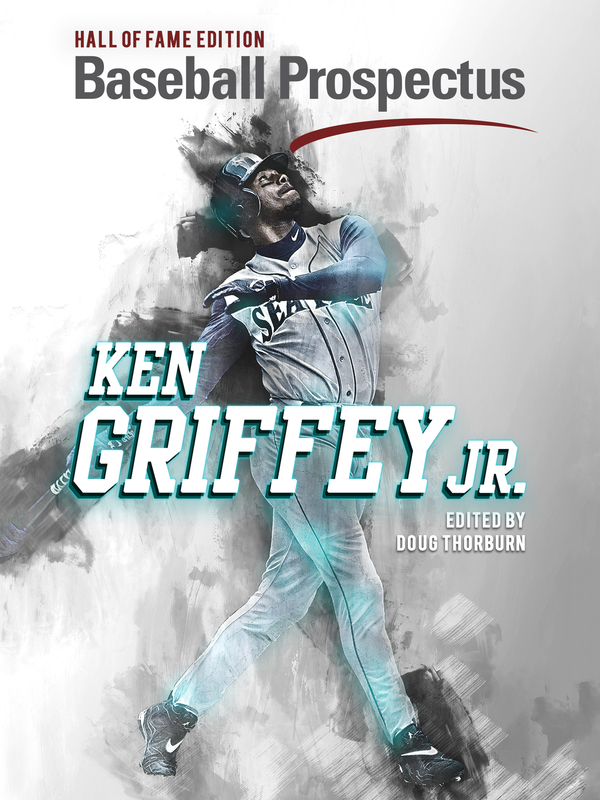 A day that forever changed the course of Church’s baseball career, and subsequently his life. In the second game of a doubleheader against the Atlanta Braves, the Mets found themselves down to their final pair of outs at Turner Field. As he was trying to break-up a game-ending double play off the bat of Damien Easley, Church’s head viciously collided with the knee of Braves shortstop Yunel Escobar. The impact knocked off Church’s helmet, where his head then slammed into the ground and dragged across the dirt. Church laid on the ground motionless for a moment, before he was eventually escorted off of the field and into the trainer’s room. The Mets were publicly criticized for their handling of Church’s health, as they had the 29-year-old board a plane to Colorado just two days later. Over the next couple weeks, Church wound up appearing in seven total games before the Mets eventually placed him on the 15-day disabled list due to post-concussion symptoms. After suffering the concussion on May 20th, Church would wind up hitting .247/.317/.346 with three home runs, seven doubles, 17 RBI, 46 strikeouts and a .662 OPS in the final 49 games he appeared in during the 2008 season, and was placed on the disabled list twice due to the injury. While Church continued to struggle, he was still an important piece for a Mets team that was fighting for their playoff lives down the stretch of the season. Church delivered big-time with a grand slam against the Milwaukee Brewers—whom the Mets were battling for a Wild Card spot—on September 3, leading to an eventual sweep. Perhaps his most memorable moment in a Mets uniform came later that month, though, as New York was down to the final out of their season and at Shea Stadium, which was closing it’s doors at year’s end. Trailing the Florida Marlins by a score of 4-2 and with a runner on first base, Church was tasked with standing in the batter’s box as the tying run. As he swung the bat, it appeared as if Church had delivered one of the most dramatic home runs in the history of the franchise. As the Shea faithful rose in their seats, the ball eventually died on the warning track and into the glove of center fielder Cameron Maybin. The season was over, the Mets came up one game shy of the postseason for the second consecutive year, and Shea Stadium was no more. 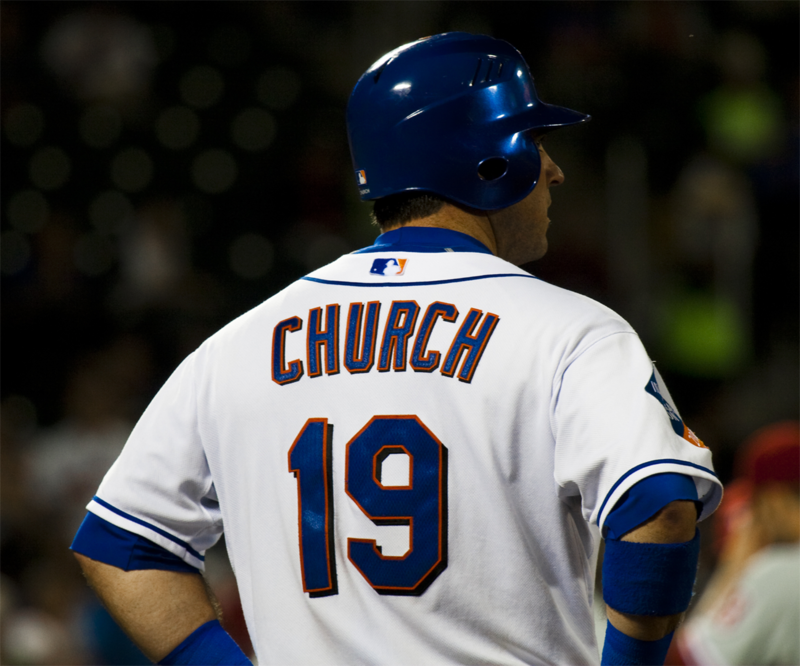 But while the 2008 Mets season had come to an end, Church’s concussion symptoms were only just beginning. “I was still in a fog and didn’t feel right,” Church remembered. 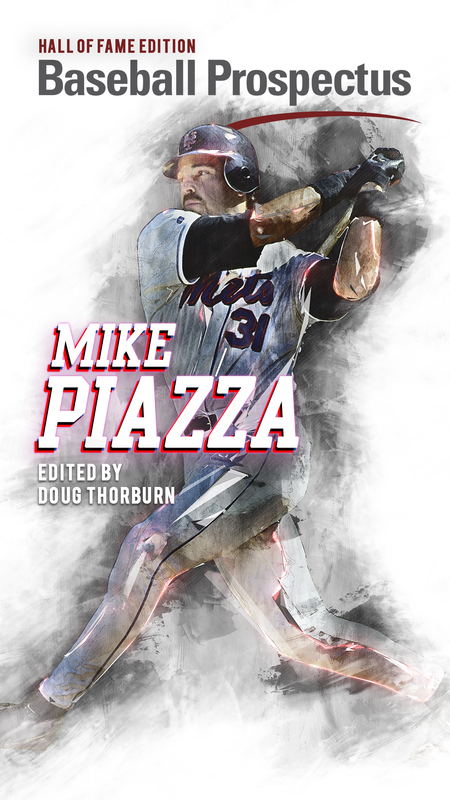 “I spent many days forgetting things, I noticed I’d get agitated easily and anytime I worked out I still felt dizzy and sick.” Still, Church pushed forward and was the Mets starting right fielder on Opening Day for the 2009 season. In an extra-inning West Coast affair against the Dodgers, the Mets appeared to have taken the lead on a triple off the bat of Angel Pagan. On an appeal, however, Church was ruled to have missed third base and was called out, taking the run off the board and eventually leading to a 3-2 loss. Unfortunately, this remains one of the moments Mets fans remember Church for the most, although he remembers the play differently. As the season moved forward, Church was hitting for average but his power was noticeably down. By early July, the Mets right fielder was batting .280 but had only hit two home runs and driven in 22 runners in his first 68 games. “I wasn’t right,” Church said. “I may have looked fine on the outside but inside I was a mess. Every day I’d wake up hoping that this feeling I was having would somehow be gone. It never went away.” Only July 10, the Mets decided to make a move and trade the struggling Church to the Braves for outfielder Jeff Francoeur. Shortly after the deal, Mets manager Jerry Manuel appeared to publicly question Church’s toughness, saying that third baseman David Wright—who suffered a concussion that August—was a “different animal” than Church, who wound up missing nearly half of the 2008 season due to concussion issues. At the time, Church referred to Manuel’s comments as a “low blow” and didn’t wish to comment any further as part of this story. Splitting time between the Mets and Braves, Church finished the 2009 campaign hitting .273/.338/.384 with four home runs, 28 doubles, 40 RBI and a .722 OPS—the second lowest mark of his career. Church’s drastic decline continued with the Pirates and Diamondbacks–who he was traded to midseason–in 2010, as the right fielder batted .201/.265/.352 with five home runs, 16 doubles, 25 RBI and a .616 OPS while striking out in 27.3 percent of his plate appearances. It was after this difficult season where the veteran realized that he could no longer play the game he once loved so much. Church acknowledges that the concussion he sustained in 2008 against the Braves marked the end of his career, and the numbers certainly seem to support that belief. Prior to the collision, Church hit .276/.352/.472 with 44 home runs, 83 doubles, 185 RBI, 123 walks, 292 strikeouts and an .825 OPS in 389 career games. In 265 games after the collision, however, Church batted .245/.311/.365 with 12 home runs, 51 doubles, 82 RBI, 65 walks, 167 strikeouts and a .676 OPS to close out his career. As he evaluates the state of how concussions are handled in Major League Baseball, Church recognizes that strides have been made today that could have helped him years ago while he was still playing. “The game has since made the necessary changes,” Church said. “Unfortunately, it was a little too late for me.